Aiya’s mission is to share the goodness of Matcha through global education of its tradition, history, and science for good spirit and health. 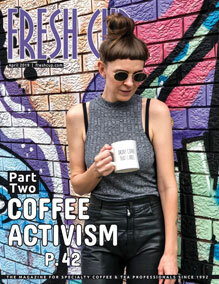 Art of Tea helps businesses build exceptional tea programs by offering handcrafted loose teas, beautiful teabag sachets, award-winning iced teas, and intensive tea training. The Chai Company’s focus is to deliver the best Chai Latte in the most authentic yet convenient way possible. Based in San Francisco, CA, David Rio crafts its distinctive premium chai and tea products, combining Eastern tradition with Western innovation and style, to connoisseurs around the world. 300+ organic whole leaf teas blended by hand in small batches using premium ingredients from around the world. Call for custom blends or free samples. Great tea shouldn’t be an afterthought! At Dominion Tea we’re passionate about the success of your tea program. With an emphasis on tradition and quality, we source the best teas and blending ingredients from around the world so you can offer amazing teas! Our tasting room and ongoing wholesale customer dialog means we’re informed on the latest trends, knowledge of distinct products that sell, and the knowledge to help you integrate tea into your operations. 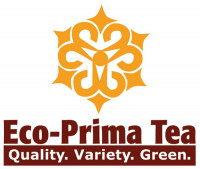 Importer & Distributor of Organic, Conventional & Fair Trade Loose Leaf Teas from all over the world for small & large Tea companies. We import and blend over 250 premium teas and offer bulk teas and packaged teas. We also offer pyramid tea sachets in 65 flavors and award-winning iced teas. Now offering Chai Concentrates, Loose Leaf, Tea Bags and Iced Teas. Maya Tea is Serious Tea, for Not-So-Serious People. Indulgent flavor anytime, anywhere with the original—quick-to-fix Oregon Chai tea—the perfect balance of sweet & spice. America’s #1 favorite chai. SAKU creates a delicious collection of wellness latte blends featuring turmeric, beetroot, and matcha. Every ingredient has nutritional benefits: we’re bringing you health and happiness. 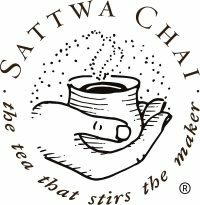 Sattwa Chai makes heritage chai that is fair trade, organic, family owned and microbrewed by real people but most importantly it’s really delicious. 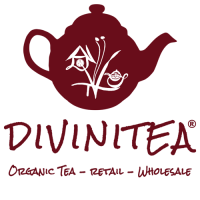 SerendipiTea is committed to the finest quality tea & tisane. Direct-trade, Certified Organic & Kosher, we work closely with gardens, single estates & specialists around the world. TeaSource imports, blends, and wholesales the finest teas available. We take pride in quality and service; whether working with small, new, or established businesses. Tipu’s starts every recipe true to India, whether a regional specialty or straight from our founder’s family. When it comes to chai, let’s get real.